We Will Walk Inc.'s Karen Bass, is leaning in for women's health initiatives! At some point, career, money and more stuff no longer define success and happiness...it ultimately boils down to your health and well being...and global reciprocity. Karen Bass is a local business leader with over 20 years of successful Fortune 1000 corporate sales and marketing operations experience with companies such as Xerox Corporation, ADP, Konica Minolta and Dell Services. At these companies, she has called on Healthcare, Public Sector, and Fortune 1000 clients as a Business Development Executive, Lean Six Sigma Black Belt Consultant and Regional Sales Manager. She has an executive MBA with a focus on Organizational Leadership from Coles College of Business at Kennesaw University. Karen has always had a passion for exercise and over all wellness; she has been a distance runner and tennis player but transitioned to walking and golf as those activities lent themselves to greater business and social interaction. Her passions include empowering women and girls through mentoring, golf and walking. She is an active member of the Atlanta West and South Chapter of Executive Women’s Golf Association, where she serves as the 2017 board president. She is also a volunteer mentor and supporter for Year Up. In 2012 Karen and a group of out-of-work friends began daily walks to be supportive of one another. Over time the walks became transformative and We Will Walk Inc., a non-profit 501© 3, was conceived with the goal to support other non-profits and help make a change in the health and wellbeing of women and girls. Today’s efforts have expanded beyond just walking on behalf of women as there are many people and organizations need walking as a movement. 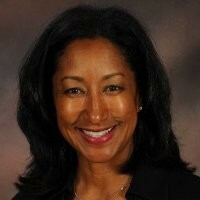 Find out more about Karen Bass at http://www.wewillwalk.org.